There is a vast amount of work performed by the committee members in preparation for the conference every year. This is all done on a volunteer basis. If you have any questions about the conference, please contact one of the committee. 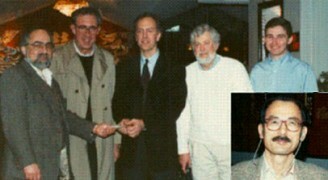 John O. Merritt, The Merritt Group (USA). Samuel Zhou, IMAX Corp. (Canada). Gregg Favalora, Optics for Hire (USA). Neil A. Dodgson, Univ. of Cambridge (United Kingdom). Michael A. Weissman, TrueVision Systems Inc (USA). Mike Weissman, Andrew Woods, Nick Holliman. 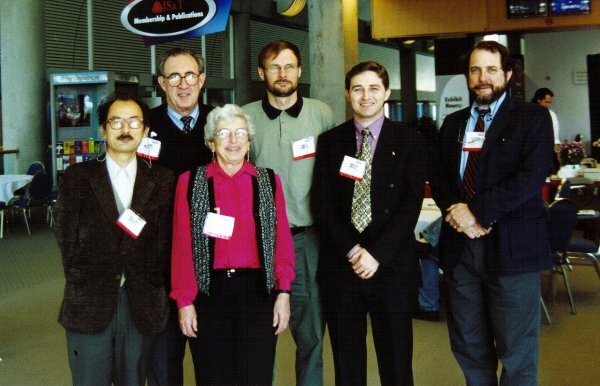 Mike Weissman, Vivian Walworth, John Merritt, Andrew Woods, and Steven Smith. 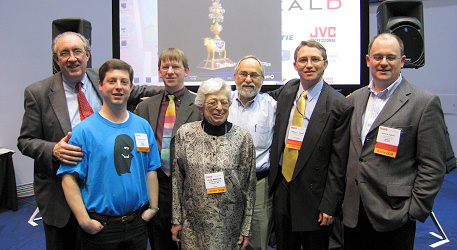 Michael A. Weissman, Micro Vision Systems Inc.
Vivian K. Walworth, Jasper Associates. 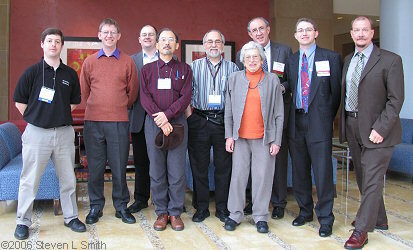 Shojiro Nagata, John Merritt, Vivian Walworth, Janusz Konrad, Andrew Woods & Stephen Benton. Andrew Woods, Michael Weissman, Scott Fisher, Shojiro Nagata & John Merritt. David Drascic, Scott Fisher, Shojiro Nagata, Michael Weissman, Andrew Woods & John Merritt. 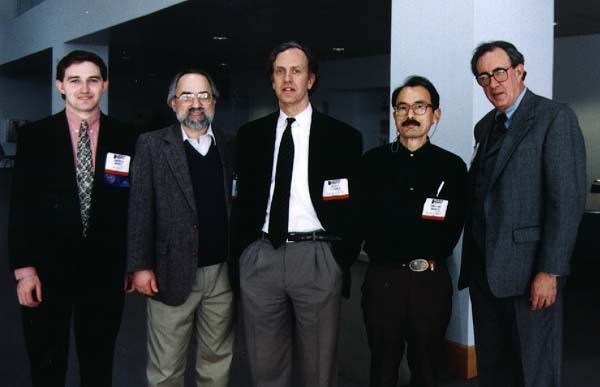 Michael Weissman, John Merritt, Scott Fisher, David McAllister, Andrew Woods, & Shojiro Nagata[inset]. Photographs © Andrew Woods except where noted otherwise.